Where does the motorable road end? What’s the trek route? Do I need a guide? The Temple of Madhmaheshwar, Uttarakhand. 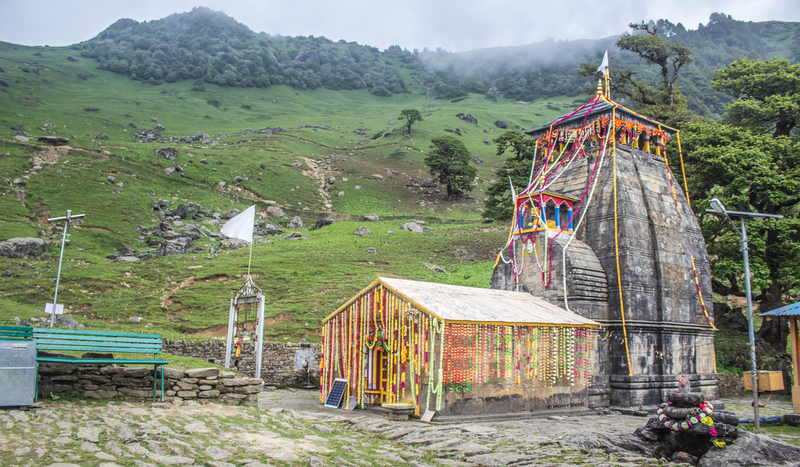 It ends at Ransi village in the Rudraprayag District of Uttarakhand. And the trek starts from here. There is also a direct bus from Rudraprayag to Ransi but it takes it own sweet time. In fact, all the local buses do. The one from Rudraprayag to Ransi starts at around 1 pm. And the bus from Ransi to Rudraprayag too starts about the same time. Midway Panoramas. On the way to Madhmaheshwar. If the weather is clear, Boodha Madhmaheshwar is a solid vantage point to see The Greater Himalaya’s Gangotri Group of Peaks. Well, some of them; to name a few Kedarnath, Kedar Dome, Kharchkund, Mandani, and Chaukhamba. It’s an awe-inspiring view you should not, should not miss. In the flutter of wind, eternity revealed itself. Mount Chaukhamba and its reflection. Boodha Madhmaheshwar, Uttarakhand. It’s a well laid out trek; you cannot divert from it unless you have some hidden agenda of disappearing into the night. You don’t need a guide. However, if you’re trekking solo, you might as well take one. It’s your safety, it’s your call. An evening that culminated into THIS. A view to die for and live with. Madhmaheshwar to Boodha Madhmaheshwar is a 2 km ascent through the meadows. It felt shorter to me. Depending on fitness, one can complete the entire 40 km stretch in 2-4 days. Ideally, 3. Porters and mules are available at Ransi. A dream setting, a dream house. Nanu Village, 5 km before the temple. Small village homes or lodges are available at all these points. However, Maikhamba and Koon have only one home with one room, I’m guessing. Boodha Madhmaheshwar is a clean green meadow with no human settlement. All you can do is camp. And you can also camp around the Madhmaheshwar temple. can i stay in a tent in budmaheswar in the night?? if yes,where can i rent a tent for that?? Tremendous information .Thanks Mohit .